Reading the countless tribute articles about his life and work, I discovered Casey worked at the same station I started out at. In the early 60’s he worked at WBNY 1400AM in Buffalo, New York. When I worked there the call letters were WYSL. I knew he worked in Buffalo, but always thought it was at WKBW, the legendary 50,000 watt Top 40. We’ve read about the battling family Casey left behind. One side has his children from his first marriage. The other his second wife and now widow Jean and a daughter they had together. His death created a conversation with my wife last night, about a person’s right to live or die in their final days. Personally speaking, my wife and her family just went through something similar with the recent passing of her father. My wife said to me her mother doesn’t want to end up being kept alive when there is no hope for recovery or life. I immediately said, “Does she have that written down on a piece of paper?” She said, “No.” I suggested it might be a good idea to get a living will then. In legal terms a living will is a written statement detailing a person’s desires regarding their medical treatment in circumstances in which they are no longer able to express informed consent, especially an advanced directive. According to reports Casey had a living will, but that didn’t stop his family from dragging his legacy during his final days into numerous courtrooms for legal opinion. There’s an old saying about “possession” being 9/10ths of the law. In this case, as long as Casey was alive, he who controlled the body, as grim as that sounds, controlled their (meaning children from the first marriage) future. His daughter Kerri was granted “conservatorship” while he was alive, but that terminated upon his death and she no longer has any legal say in regards to his burial or estate moving forward. As I pointed out in previous blogs his worth was around $80 million. His widow is now executor and will determine his burial, not the children. Casey died on Father’s Day, June 15, 2014. It was last Wednesday when a Los Angeles judge upheld Casey’s end of life wishes and ordered those taking care of him to stop feeding him and giving him water. There’s much we can learn from Casey Kasem’s death. 1. Modern medicine can keep a body alive well past its usefulness. Everyone should have a living will detailing what the family is do to once it’s obvious a person no longer has or will have any quality of life. 2. If you have a loved one hanging on, especially a parent, I know it’s hard but you cannot hold on. There will be a point they need to leave. My mother-in-law said to me on her husband’s final day she told him she was leaving the care facility he was in for the night and “if he wanted to leave, he could to.” He died a few hours later. 3. The legacy of Casey Kasem, something he crafted for years as radio personality, was destroyed in a matter of a few weeks because of a family who chose not to follow his wishes. Once someone departs, the only thing left will be their legacy. As a surviving family member, take great care of that. It’s the way your loved one will be remembered. 4. Most today are from blended families. Casey’s children from his first marriage and his second family despise each other. Here’s the point, though. He and his second wife Jean were married for over 30 years. They obviously made each other happy. At some point over such long periods of time families should attempt to be a family. Send a birthday card, a Christmas card, anything. You may not like your family or the way it was created, but you are family, nonetheless. Act like one and take care of each other. 5. The death of a loved one, as hard as it is to let go, is about the one leaving. It’s NOT about the surviving family. It’s about their dignity, not yours. 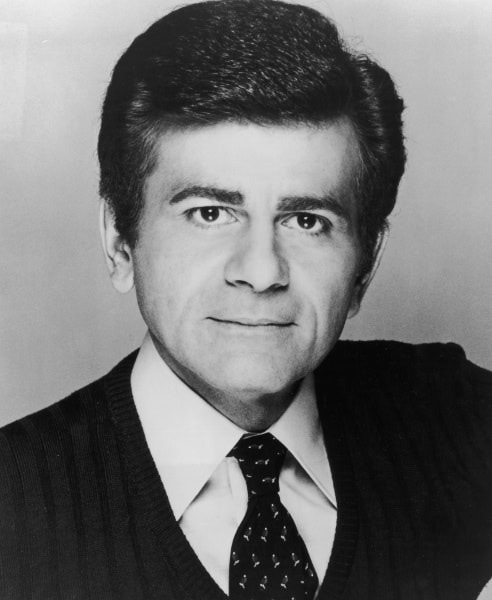 Casey Kasem is in a better place now. Hopefully, his family will be at peace as well. Besides the death of a radio icon there is something to be learned. If you read his obit in pubs Casey had a strong foundation in theatre. As I’ve said before radio personalities today lack theatre/entertainment skills that make them a real talent and highly identifiable personality. For radio to move forward it needs to look back.